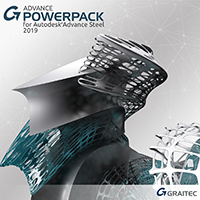 Using the Graitec PowerPack on top of Autodesk Advance Steel, it is possible to create castellated beams from catalogues or defined by the user. Castellated beams are considered to be already fabricated. 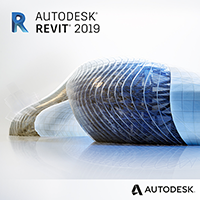 Castellated beams are used as structural members and the main advantage is that the beam depth and strength are increased without adding additional material. A castellated beam is produced by cutting a beam lengthwise following a hexagonal pattern. The top and bottom halves are then staggered and welded together to create a deeper, stronger beam. 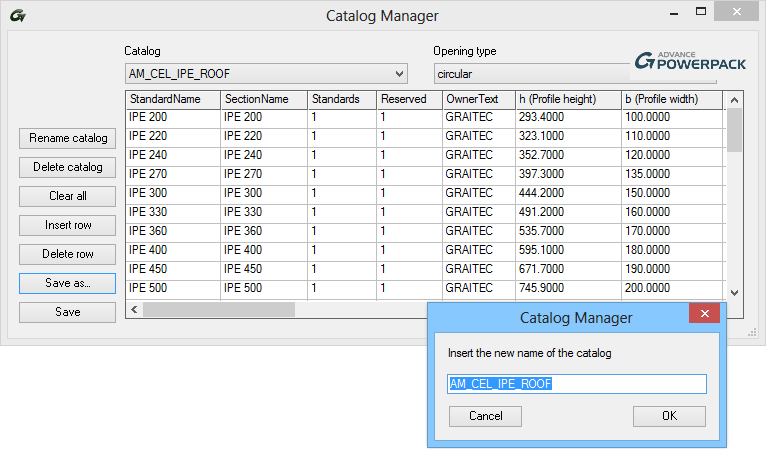 When a castellated beam from a catalogue is created, only the sections from the specific catalogues are available in the dialog window. 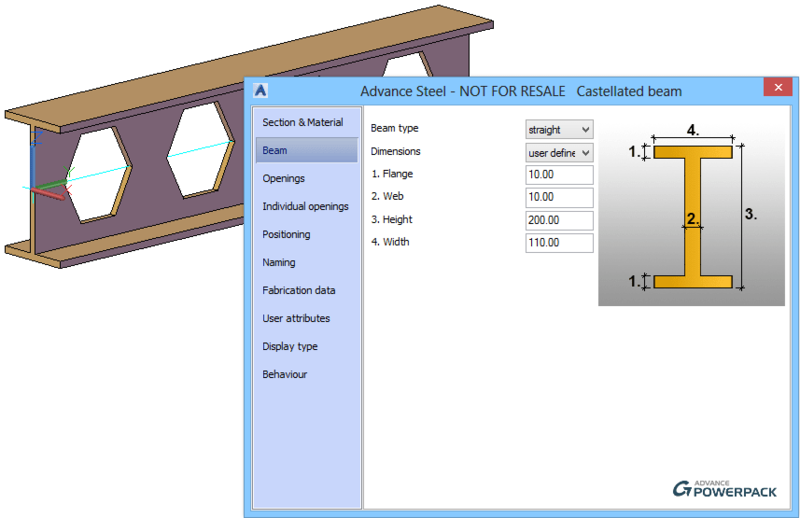 When a user-defined castellated beam with web openings is created, the values for Height, Width, Flange and Web thickness of the "I" section can be modified as desired. 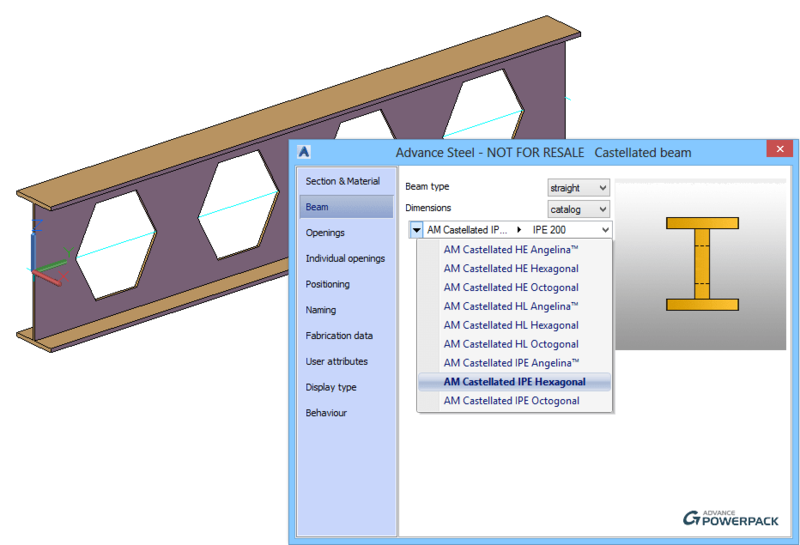 New castellated beam sections can be added in the database using the Save as option from the Catalog Manager. After the section dimensions are added, use the Save option to store them in the database. 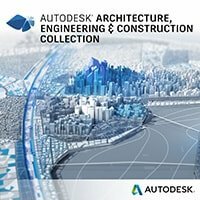 PowerPack for Advance Steel - Share your ideas!